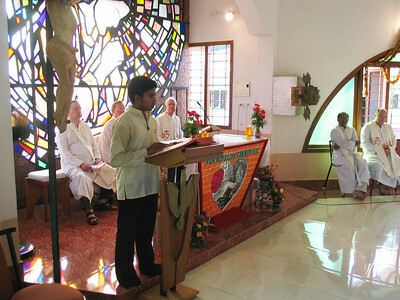 Novice Emmanuel reads the 1st reading. 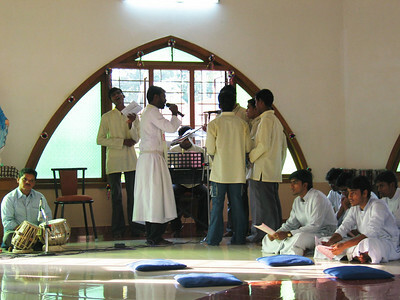 The singers are the new Novices, accompanied by Fr. 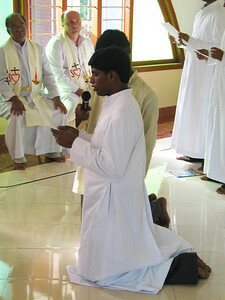 Mathai. 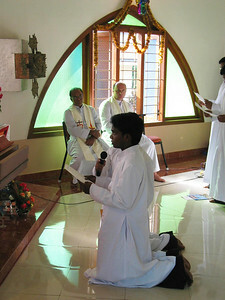 The Novice Master (Fr. 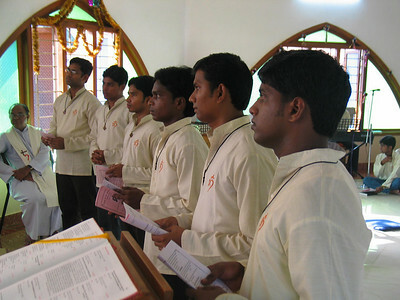 Tom) calls the Novices forth, asking about their readiness to make their First Vows. 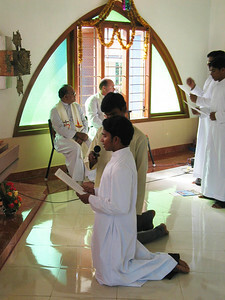 Each of the Novices respond, declaring his readiness. 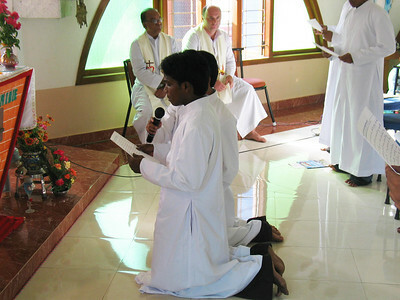 Fr. 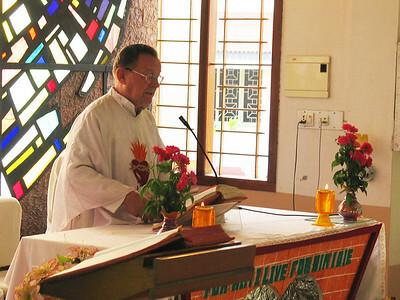 Martin (District Superior) gives the homily. 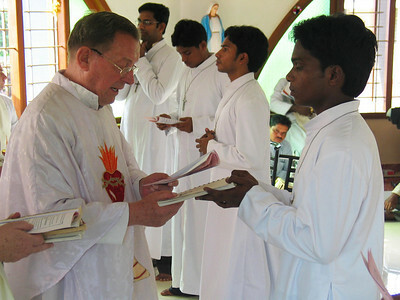 The cassock is blessed and distributed to the Novices. 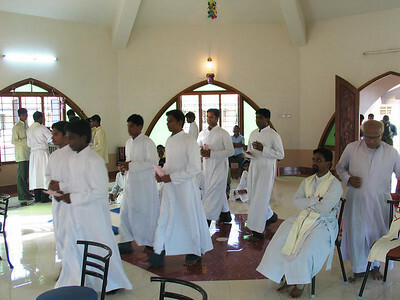 The novices return to the chapel wearing their cassocks. 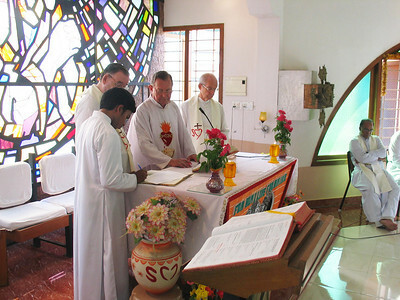 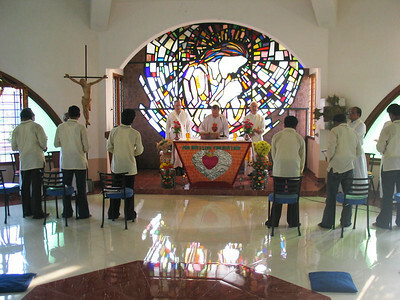 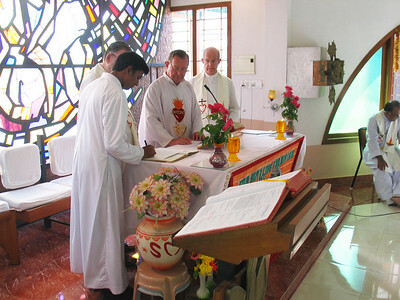 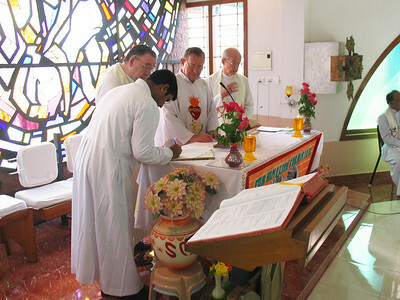 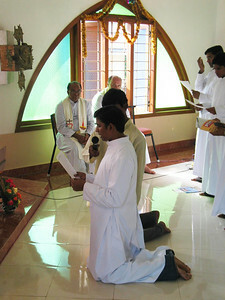 Anil Kumar Gajula makes his First Vows. 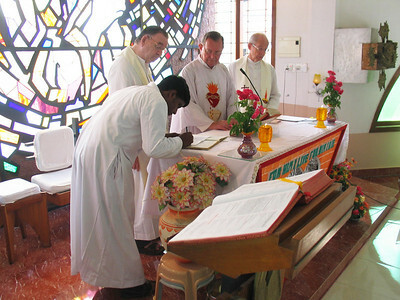 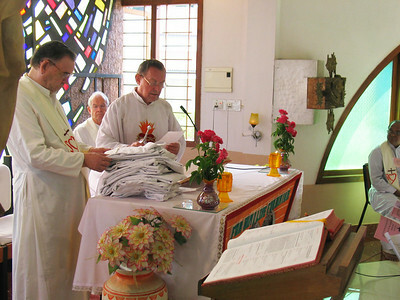 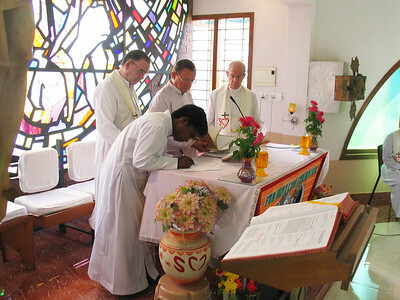 Each of the newly professed now sign the book of records, indicating the profession, with witnesses. 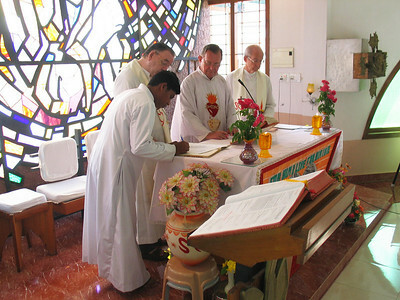 Fr. 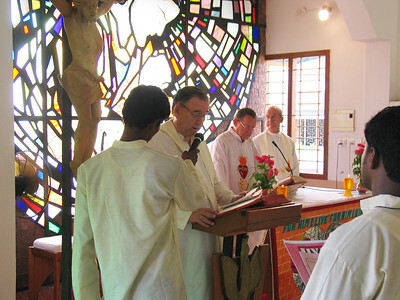 Martin blesses the profession crosses, before they are distributed to the newly professed. 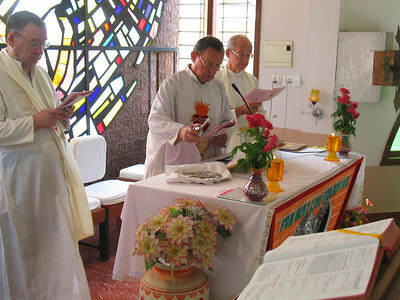 The distribution of the profession crosses. 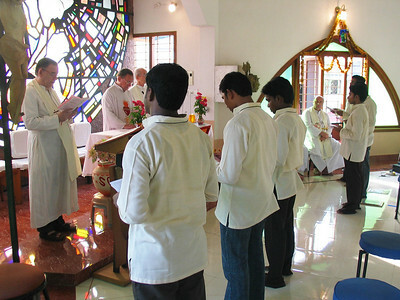 The SCJ Rule of Life is given to each of the newly professed.